We hope you had a terrific long weekend celebrating Canada. We sure did. Don't get to used to the feeling of rest though because Stampede week is here and if your calendars look anything like ours, it's going to be a fun, rowdy, boozy good time. 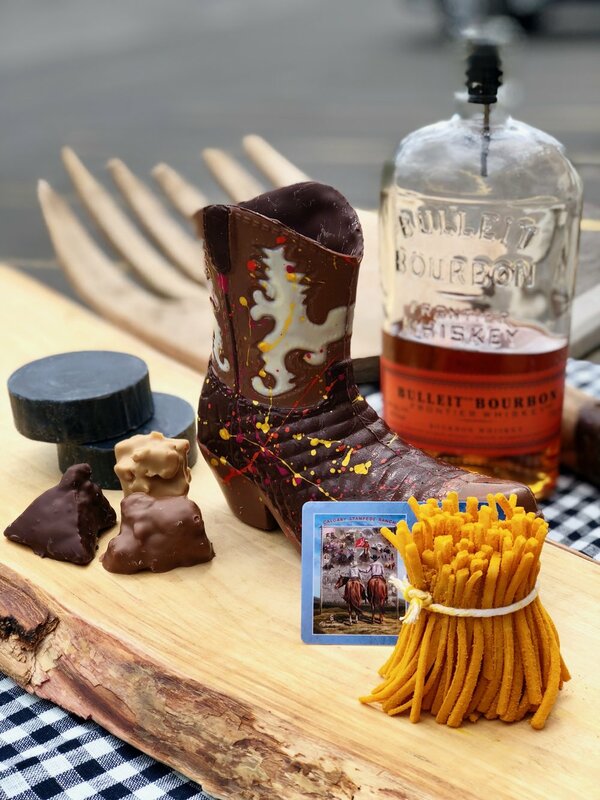 Speaking of good times, how delightful are the Cochu chocolate cowboy boots pictured above? We think they'd make a darling client or hostess gift.